The reason for this lies in whether the improvement has occurred because of actions attributable to the organisation or whether this improvement would have taken place regardless. For example, we have seen earlier that our supermarket group will reduce its absolute emissions by 46% if the UK power generation sector achieves its goal of decarbonisation by 2027. Thus if the supermarket were to set a goal of a 40% reduction in emissions over the same period this would be misleading, as all of the improvement would have come from the efforts of others and would have happened regardless of any action taken by the supermarket. 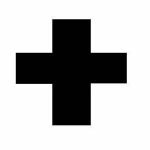 In these circumstances additionality cannot be demonstrated and the Supermarket would be a “free rider” because it is not contributing to the improvement. Goals where there is a free rider element leave the organisation open to criticisms and should therefore be avoided wherever possible. Figure 86 In economics “free riders” are organisations or individuals who benefit from a Public Good without having contributed to it. This simplistic example shows a supermarket group benefiting from the efforts of the power companies. If the supermarket were to incorporate the efforts of the Power Companies into its own resource efficiency goals then, not only would this be misleading, but the supermarket would have little control over meeting its objectives. 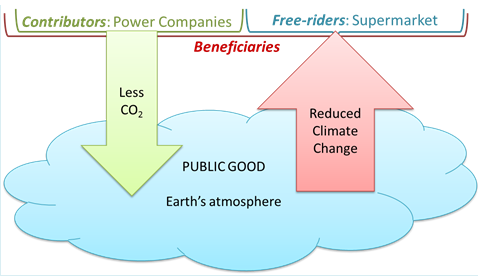 The term free rider comes from economics, and is one of the reasons why our economies are so poor at allocating environmental costs. Essentially many resources, like the atmosphere’s capacity to absorb CO2 or the ocean’s ability to provide fish, are “public goods”. The problem that arises is that some activities, such as burning fossil fuels, or industrial-scale sea-bottom trawling, damage those public goods but the organisations responsible do not pay the cost of restoring those goods to their original state. In these cases those organisations can be said to be free riders on the wider society which bears the cost to restore these public goods. One of the areas where organisations often inadvertently set themselves resource efficiency goals which are not truly additional is when “green energy”, i.e. energy from renewable and low carbon sources such as wind, hydro or solar generation, is purchased in order to reduce CO2 emissions. This is because the purchase price for the green energy often does not cover the cost or provide the incentive to generate the green energy in the first place. In the UK, BT, formerly British Telecom, the leading British telephone provider which accounts for 0.7% of the total UK electricity use, is the largest corporate buyer of green energy. BT has set a goal “to reduce our UK carbon dioxide emissions to 80% below 1997 levels by December 2016” [ BT2012Carbon ] and relies heavily on the purchase of green energy to underpin the 61% reduction in absolute emissions it has achieved to date. In their 2012 Better Future Report BT states that they have “a proud record of carbon reduction” and “we meet approximately 41% of our electricity needs in the UK by purchasing renewable energy”. Figure 87 In 2012 UK telecoms giant BT claimed a very impressive 61% reduction in carbon as part of its goal of achieving an 80% reduction by the end of 2016, compared to 1997. 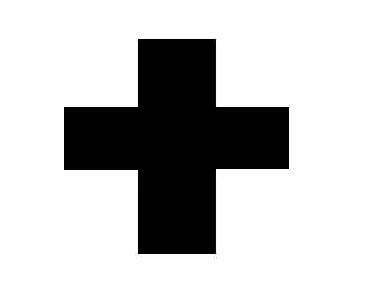 Source BT publicly available data[ BT2012Carbon ]. But the question we must ask is “does BT’s purchase of green electricity directly lead to the development of more green energy supply, or is BT a free rider”? In other words is additional green electricity produced as a result of BT’s efforts? 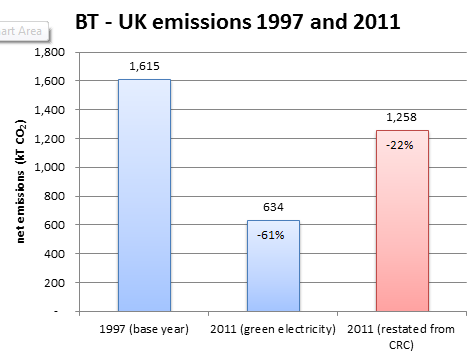 On close examination BT’s claim to reduced emissions through green energy purchase is questionable. That is because what drives UK utility companies to deliver more renewable energy is the legal obligation for them to generate a rising percentage of their electricity from renewable sources. This is underpinned by a market mechanism called the Renewables Obligation Certificates (or ROC) regime, which covers the considerable cost premium for the development of the renewable supplies by making extra payments for the renewable electricity, to the tune of some £40 per MWh or 10 times the generation cost of conventional electricity. The cost of these ROCS is in turn incorporated into the overall cost of all electricity supplies and paid for by all electricity users. The argument for BT’s free rider status rests on the fact that the green energy it purchases is only available because of the legal obligation imposed on the generators and the ROCs subsidy which all electricity users are paying. BT’s purchase of green electricity cannot demonstrate additionality. The fact that some utilities then ring-fence their renewable electricity and brand it as “green” and sell it to customers like BT for a small premium as a marketing strategy is irrelevant to their decision to invest in the generation capacity. A similar situation occurs in much of the US market for “Green Tags” or Renewable Energy Certificates, which assert that 1MWh of green energy has been produced, because the cost of these Certificates do not reflect the cost of additional generation, which is borne by the electricity consumers as a whole. Thus US companies buying Green Tags and claiming lower emissions as a result could potentially be open to criticism. This situation is recognised in the UK’s Carbon Reduction Commitment, a mandatory emissions reporting and carbon allowances scheme for companies like BT, which does not consider “green energy” produced in schemes which have received ROCs to be lower carbon since it has benefited from the subsidy. Under the CRC, if you use electricity that has been subsidised by ROC sales then the emissions factor applied is simply the grid average. In BTs Better Futures report it states its 2011 UK CO2 emissions, taking into account green energy purchases is 634,000 tonnes CO2e whereas in its reporting under the CRC, where it cannot claim the lower emissions, it is almost twice as much, 1,258,720 tonnes CO2e[ bt2011plt ], as shown in the chart below. This restatement reduces the improvement in emissions from 61% to 22% and is arguably a more accurate statement of the emissions reduction that has been brought about through BT’s own actions. 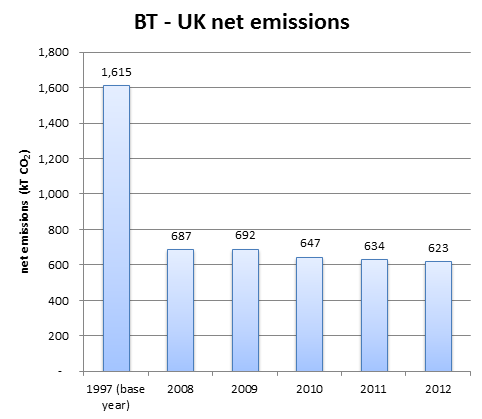 Figure 88 Reporting in the UK under the Carbon Reduction Commitment, BT cannot claim emissions reductions due to green electricity, and so restating emissions on this basis shows a much more modest decrease in emissions. In fact BT’s approach also leads to a “double counting” effect, as the UK average grid factor for all electricity declines in line with the increasing levels of renewable generation, so other users are therefore reporting improvement in their emissions based on the same green electricity that BT exclusively claims for itself. UK carbon accounting using emissions factors published by the government assumes that the green electricity is uniformly shared and not allocated to specific organisations. It is a pity that this situation has arisen, because in many respects BT is a good corporate citizen in terms of emissions reductions. They have made substantial investments in energy efficiency and are strong advocates for labelling of energy to enable consumers to purchase low-carbon supplies. The fundamental problem lies in the nature of the goal that they have set themselves for emissions: an 80% reduction on 1997 absolute emissions by the end of 2016 which could only ever be delivered cost-effectively by incorporating a questionable green energy claim in the mix. The lesson here is that goal-setting for emissions is particularly problematic, and organisations can become vulnerable to criticisms if these objectives are achieved through the efforts of others, because it may be possible to question additionality in these circumstances. Standards like the PAS 2050:1010 Specification for the demonstration of carbon neutrality can provide very useful guidelines on how to deal with issues like green energy or emissions offsets such as tree-planting, which rely on third-parties to deliver an improvement for which the organisation will take credit in its goals.